A Christian Funeral is a once in a lifetime event and it is our duty to plan and execute the funeral with the best of our capabilities. At Harmony Funeral Care, we believe in personalising each and every funeral to meet the needs and expectations of different families. Communication and trust are two important elements we believe are pertinent to facilitate this journey where we express our final acts of love to send our loved ones off honorably. If you are looking for an affordable Christian Funeral that provides excellent service, you've came to the right page; nothing happens by mere coincidence. Harmony Funeral Care strongly believes in helping families in this time of need. We believe in forging meaningful relationships as we serve you during this critical moment. With the years of invaluable experience and with a strong passion to serve, we have expanded our services to include professional premium services, premium caskets, repatriation services, cremation services, memorials and experiences for funerals at affordable prices. 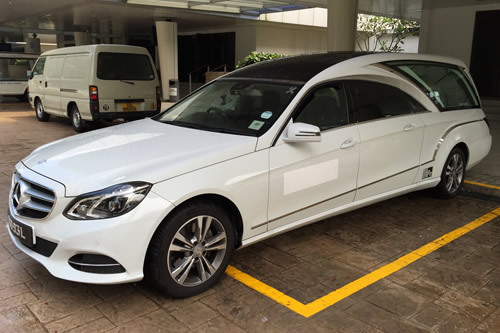 Harmony Funeral Care is located at 38 Sin Ming Drive #01-523 Sin Ming Industrial Estate Singapore 575712. Feel free to contact/visit us to clear your queries if you have any. When it comes to Christian Funeral Bereavement Services, the traditional religious format and order may differ from one denomination to another. It is important for family members to consult with the church or pastor in the areas of arrangement concerning insurance, funeral plans/package and advanced-care arrangements/planning usually meant for the elderly. Christians believe that when a person dies, it is just the end of the person’s physical life on Earth. They believe that the soul proceeds to heaven for a re-unification with Christ. As it is aptly mentioned in Luke 23:43 - " Truly I say to you, today you shall be with me in Paradise"; believers will be taken into the presence of Christ in heaven upon death. When attending a Christian Funeral, you should expect it to be abundant with prayers, worship and praise. The mood is one of joy and hope knowing fully well that death on Earth is akin to a new life in Heaven. The funeral is where most attendees take time to reminisce about the time spent with the dearly departed. It is also an opportune time where people start to reflect upon their own life - how they have been spending it, how they want to spend it differently. Death affects us all in different ways and oftentimes prompt us into cherishing present times even more. It is also a time to remember that we have no fear knowing that God has already conquered death. It is a time to strengthen our faith in knowing that our omniscient and omnipotent God has a season for all things and that death is but a stop to life on Earth. Eternal Life is what we ultimately look forward to, and that happens after death. It can also be a time for people to pray for the salvation of visitors who might not have gotten the chance to know of the good news yet. Losing someone close to you is difficult. Family and friends of the deceased can cope faster when there are people who give them support through the tough times. Pray for the family members. Remember that God hears all prayers. A Christian Funeral allows people to reflect on the lives both of their own and of the dearly departed. A Christian Funeral has the added benefit of providing closure for family members and friends. As prayers are said and hymns sung, God's love is sure to comfort and heal the family members and friends. Basking in the knowledge that the dearly departed has 'Gone Home to Be With The Lord', provides hope for the family members. Such a strong belief in a faith like this would also serve to be an inspiration for the community at large. Attending a Christian Funeral doesn’t mean that you have to share in the beliefs of the family. Everyone is welcomed to attend, just ensure that you are respectful of the traditions during the funeral and the burial. A Christian Funeral is held in remembrance of a loved one who has unfortunately passed on. There will be a viewing or call of a wake, depending on the preferences of the family. Friends attending the viewing or wake usually say words of comfort and offer condolences to the immediate family members. It is also common for friends to offer floral wreaths or other small gifts as a token of condolence for the family in grieve. A priest, pastor, or minister leads to plan the funeral rites conducted at the void deck, at a Church or at home. The cremation or burial of the casket or coffin follows the memorial service. Christianity traditional rites allow embalming. Attendees of the funeral can view the deceased via an opened half-glass casket and say their last goodbyes in the final moments. At a Christian Funeral, you should expect the service to filled with readings, prayer, Jesus and sermon from the bible. The minister will provide a talk about the Christian/ Catholic faith, talk about the dearly departed, preach about the end of life matters and pray for family members. It sometimes also features a moment of silence for tribute to be paid to the deceased. People can send flowers to the funeral venue which can be a christian cemetery, grave, a funeral parlor or void deck in Singapore. There is no restriction to the types and colours of flowers that can be sent to a Christian Funeral. However, due to the large possibility that relatives, especially the ones of an older generation having Buddhist or Taoist Beliefs, it would be advised to avoid sending Red flowers. This is because Red is usually associated with happy, celebratory occasions in the Chinese culture which is in sharp contrast to a funeral which is solemn and most oftentimes a sad occurrence. Some families might even prefer that the money used for the purchase of flowers be donated to charity instead. Do remember to ask what the family prefers. A Christian Funeral Director leads a Christian Funeral, and attendees utter hymns and prayers. Majority of the Funeral Service is spent listening to the pastor/minister or in silent reflection. Attendees are encouraged to sing and read along. While it is not required, everyone is encouraged to join the prayers/funeral service out of respect for the family, even if you happen to practice a different religion. When attending a Christian Funeral, you should adorn yourself with a set clothes deemed proper for a church service. Make sure to pick the right colour for your clothes. Dull, dark colours are advised in place of light ones and Red attire is strongly discouraged. This is due to the fact that visitors might have a different religion and would view the wearing of Red as disrespectful. After the Christian Funeral Service, the pastor allows the family members and friends to view the deceased. Family members then stand in a row next to the coffin. After the viewing of the deceased, friends walk past the family members and offer words of sympathy, sometimes with a comforting hug. The Funeral Service usually ends after friends shake the hands of the family members whilst offering words of encouragement. Christians believe in the resurrection of Jesus Christ and are positive that all believers can go to Heaven after Death. This truth is assuring to us all. Obituaries are often placed to inform all family members and relatives the death of a loved one. Traditionally obituaries are placed on newspapers but with the advent of the internet and the trend of going paperless so as to be more environmentally friendly, family members are opting to post obituaries online instead and the information of the funeral can easily be shared on social media giants. It can be hard to start a conversation with the family members especially when the mood is tense and no one but the family themselves go through the greatest grieve. As no men can live forever, it is acceptable to ask how the deceased died, except when one died under suspicious circumstances. If the family evades answering the personal question, then respect their personal space and do not probe. Try not to say things like 'I understand your loss' because the fact is we do not. Also do not try to reduce the significance of the death by saying that 'it is part of life'. Simply being there for the family members and offering a 'Be Strong, we are with you' would suffice. Family members on the other hand can help make guests feel at ease by offering them drinks and tidbits. If the family is small and there aren't enough members to help serve guests, do consider hiring a server for the duration of the prayer/funeral service. This can be easily arranged by the funeral director. A Funeral Service is like an art and lasts for an hour during the day. If you don’t want to stay for the service, then make sure you leave the venue before it starts. On the day of cremation, a Funeral Hearse would transport the dearly departed to either a crematorium or a burial ground. There would be an air-conditioned Coach to ferry family, friends and relatives to and fro as well. While you can also leave midway through the service, it is not advisable because you will find that you draw too much attention as it may be deemed as disrespectful. Make sure you check with the family before you visit the wake in Singapore. Above are the things that one should consider during a Christian Funeral. It is a solemn celebration of the life of the deceased. Everyone is welcomed in a Christian Funeral Service, even if the person is not of the same religion. What's important is the support provided to the family during a period like this where they can feel so lost and alone. What to do when someone you love passes on? In Singapore by law, all deaths need to be registered within 24 hours of occurrence. An assigned doctor will issue a Certificate of Cause of Death (CCOD). Harmony Funeral Care will assist in the application of the Death Certificate. The hospital will issue the CCOD and the Death Certificate. The deceased would be collected and carefully transported to our Embalming Centre for cleaning and makeup. Meet the Funeral Director at the Funeral Memorial Site for Funeral Service preparations and for the settlement of the relevant paper work. At Harmony Funeral Care, we are committed to providing the best Funeral Services in accordance to the last wishes of the deceased and the religious aspects based on the Christian or Roman Catholic service order. Thank you for the service with a personal touch. Meant alot to us. Thank you for being with us during these last few days. We were impressed with the way Harmony, Ashwin, Mr Neo and the rest of the staff handled the wake and funeral needs of my mother-in-law. And not only us. Guests who came to pay their respects at the funeral today were equally impressed. Very experienced in Catholic funeral arrangements and tended to every need before we can ask or even think of. Working in this line is one of the toughest jobs you can find yourself in. Know that you are doing a great job guys. God bless each and everyone of you. We will have no qualms about recommending your casket services. Harmony and Ashwin did a fantastic job organizing the whole wake and catered to our requests. They were prompt in their response and were present throughout the wake, even though they did not have to be. The intricacies of the proceedings were all planned out by them, which made things easily for my family while we were grieving. We sincerely thank both of them for their professionalism and excellent service. without any form of delay or hesitance. Harmony was indeed an suited representation of the company and her efficacy was well proven. Thank you for being there both emotionally and professionally in this period of grief. Thank you for always being there over the past few days, which were extremely tough for the family. Not only were they detailed and professional in the arrangements, Harmony was also very responsive to our calls and messages. Even though there were some difficulty on the first day, Harmony was always ready to assist with her team was supporting us till the very last day. It is during such difficult times that the family needs a professional service team that's ready to render the support and not cause additional stress to the family. So thank you for your professionalism and services. Will definitely recommend your service. Cheers!